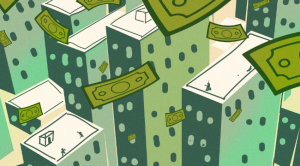 A couple of years after the Economic Survey explored the possibility of rolling out universal basic income (UBI) as a poverty alleviation measure, moves are afoot to actualise it. Sikkim may be first off the block. The Sikkim Democratic Front has included UBI in its election manifesto and believes it can be done in three years. Media reports suggest that the Narendra Modi government may also experiment with some form of cash transfer which will partially mimic UBI. These developments are welcome as India’s extensive but inefficacious welfare system needs an overhaul. The main arguments in favour of UBI are administrative simplicity once a benefit is universal and the flexibility it offers beneficiaries. It will mark the retreat of a paternalistic state which claims to knows better than its citizens what they want. Neither concept is new to India. Tamil Nadu and Chhattisgarh, states with a widely admired PDS system, have universalised benefits. Also, government has for long been offering old age pension through cash transfers to people below poverty line. Given India’s fiscal constraints, UBI cannot be an addition to the existing welfare schemes. It has to substitute for some existing schemes which have outlived their usefulness. The Survey pointed out that there were 950 central schemes which collectively account for about 5% of gross domestic product. Some of the schemes have been around for decades and their benefits need to be reviewed. It’s entirely plausible to replace some of these schemes with a cash transfer. Ideally, this should tend towards universalisation as it makes it administratively simpler and cuts down problems associated with targeting beneficiaries. India’s welfare system needs to keep up with changes in society and UBI should be the next stage. When the National Clean Ganga Mission was launched in 2015, a common criticism was that the project would come a cropper if it did not address the problem of municipal solid waste (MSW) flowing into the river. The mission did have plans of bolstering the network of waste treatment plants across the Ganga’s 2,500 km stretch. However, an analysis of the river’s water by the Quality Council of India has proved the naysayers right. The study points out that 66 of the 97 towns along the river have at least one drain that flows into the Ganga and notes that only 19 towns across the river’s basin have a plant to treat MSW. Data on the Clean Ganga Mission website offers some insight into where things have wrong. Till November last year, the project had completed barely a sixth of the sewage treatment plant (STP) coverage it had envisaged. The issue, however, is not just about the construction of STPs but also their performance. Such plants perform sub-optimally because a large part of India’s urban population lives outside sewerage networks. This means that much of the waste they generate does not reach the STPs. The Clean Ganga Mission did aim to strengthen the urban sewerage network. But the mission’s website reveals that only 31 of the 131 sewerage infrastructure projects have been completed so far. Last year, Union Minister of Water Resources Nitin Gadkari said that the government would try to ensure a 70 to 80 per cent improvement in the Ganga’s water quality by March 2019. He also spoke of a project to create a cadre of village and town-level volunteers who would help local bodies to monitor the quality of the river’s water. However, by all accounts, the Clean Ganga Mission has adopted the same top-down approach which proved to be the undoing of earlier projects to clean it. The failure to reach out to local communities has been particularly telling when it comes to dealing with MSW. It’s well-known that such waste is best dealt with at source — segregated into separate heaps meant for recycling or for treatment at MSW plants. But that rarely happens in India’s cities. The Quality Council of India study shows how this failing has worked to the detriment of the Ganga. It found rubbish heaps close to ghats in 72 of the 97 towns along the river. 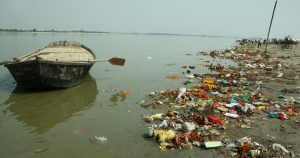 The director of the Clean Ganga Mission has said that his team will take stock of the situation in mid-March. Chances are that by then, the project will miss the target set by the water resources minister.